Monty Wells Music – Monty Wells To Appear on 538 Hitzone 70! Monty Wells Music / News / Monty Wells To Appear on 538 Hitzone 70! Monty Wells To Appear on 538 Hitzone 70! It is official! Monty Wells, Nils Van Zandt and Ron Van Den Beuken are slated to appear on Radio 538 Hitzone 70 with their dance smash, 'House of Cards'. This compilation album will be released on July 7th and features superstars like: Michael Jackson, Coldplay, Pharrell Williams, Calvin Harris and Miley Cyrus. 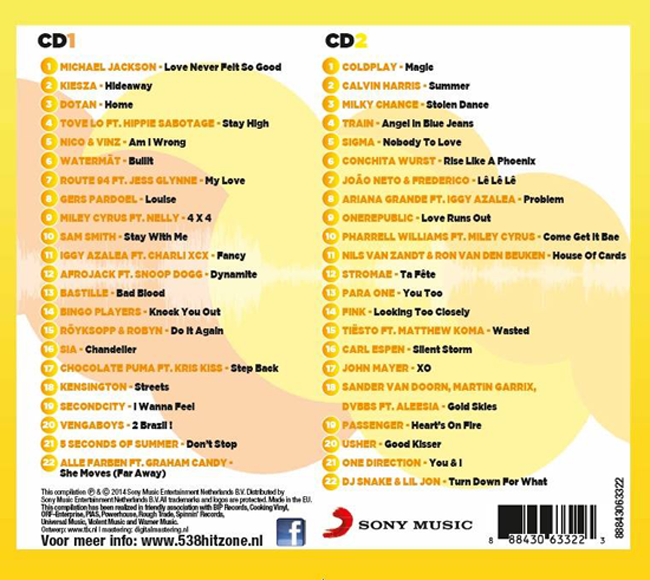 538 Hitzone is a compilation album released by Radio 538 and Sony Records. It features the year's biggest hits, and is currently available for pre-order on iTunes. You can view the official track listing below!